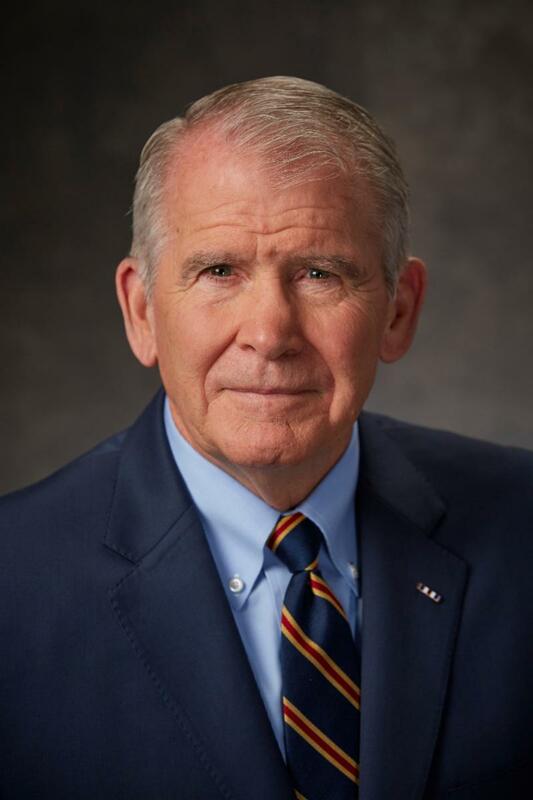 (Nov. 7, 2018 – DALLAS) — DSC is honored to host NRA President Oliver North as the Saturday night banquet speaker during the 2019 DSC Convention, Mogambo: Dagga Boy Danger. The banquet will be held Jan. 19, 2019, in the Omni Dallas Hotel Dallas Ballroom at 6 p.m. Register now to attend. The retired Marine Lieutenant Colonel is combat-decorated, No.1 best-selling author, founder of a small business and holder of three U.S. patents. For 17 years, he was a syndicated columnist and host of “War Stories” on Fox News. In May 2018, North retired from Fox to serve as the 66th president of the NRA. North and his wife, Betsy, live in Virginia and will celebrate their 50th anniversary this year. A member of IUCN and FACE, DSC is a mission-focused conservation organization, funded by hunters from around the world. With an administrative staff of less than 15 and a volunteer army of 500, DSC hosts the Greatest Hunters Convention on the Planet™ that raises funds for grants in conservation, outdoor education and hunter advocacy. In the past five years, more than $5 million has been channeled to qualified projects, organizations and programs in support of that mission. Get involved with DSC at www.biggame.org.